So the pale salmon rosés come from Pinot Noir grapes (like awesome ones from the Willamette Valley) or more popularly from Grenache and Cinsault grapes in Provence. Deeper ruby ones generally come from thicker-skinned grapes like Sangiovese or Tempranillo – lots of good ones from Spain (where it’s called rosado) and Italy (rosato). I love the pales on a hot day with a light shellfish lunch – total perfection. And if you’re kickin’ it waterside, the pales will also be your grapefriend. But when you’ve got heavier food, like a tuna nicoise or steak salad, a ruby one is amazing. Got a charcuterie plate? A ruby’s gonna blow your mind. And when you’re eating spicy stuff, I usually find that the pales don’t totally hold up and would go for a rosé somewhere in the middle. One of my fave rosés EVER. It’s a Grenache-Syrah blend that’s made biodynamically so it’s just packed with flavor – raspberry, strawberry, ripe peach. Mind blower. Can’t recommend it more. My go-to. Watermelon and peach, perfectly priced. And the label is just cool. This is made from Pinot Noir but has a little more heft to it than you’d expect. Strawberry and white cherry, pink rose petals, and excellently balanced with a stony minerality. I opened this with a few friends and everyone agreed it was fantastic. This one is totally funky and cool – it’s from Hungary (not kidding) and made from Cab, Syrah, Cab Franc, Merlot, a grape I’ve never even heard of, Kekfrankos. It’s got a good ripe strawberry thing going on, but then also something savory and meaty. Would be great with charcuterie and even aged Gouda or cheddar. Plus, just cool to be a little different and serve a rosé from Hungary. Love this one! Gorgeous, elegant yellow apple, peach, just-picked strawberry, and a spritz of orange. The winemaker made it for her husband on their 20th anniversary to honor their never-ending crush on each other. Lucky for us, we get a great wine out of it! Lovely and light white peach and apricot flavor. This is from the Coteaux Varois in Provence and mostly made with Grenache, Cinsault, and Syrah. My grapefriend Diane opened this poolside and it was a perfect pairing. Another awesome Grenache-Syrah blend. Very light with mild ripe peach. Amazing seaside and shellfish companion, even escargot if they’re not too smothered in butter. It’s from Cotes de Gascogne and is a great Provençal alternative at a sick price. Tag me if you try any or just with your own fave rosés @grapefriend on Instagram and Twitter. More rosé fun coming all week. And stay tuned for my top 10 picks for Cosmo coming soon! Tags: cinsault, Grenache, mourvedre, pinot noir, Rose, Sangiovese, tempranillo, wine. Bookmark the permalink. I am a big rose’ fan, always have been whether it’s light or dark I love it. Had a rosato the other night with flank steak salad. Wonderful. I’m in the Rose all year club, too! Assuming this is someone I know 🙂 I had it in Rosé Week last year and is by far not one of my faves! This is the week for you then! Good reads in the links at the end too. I love it . 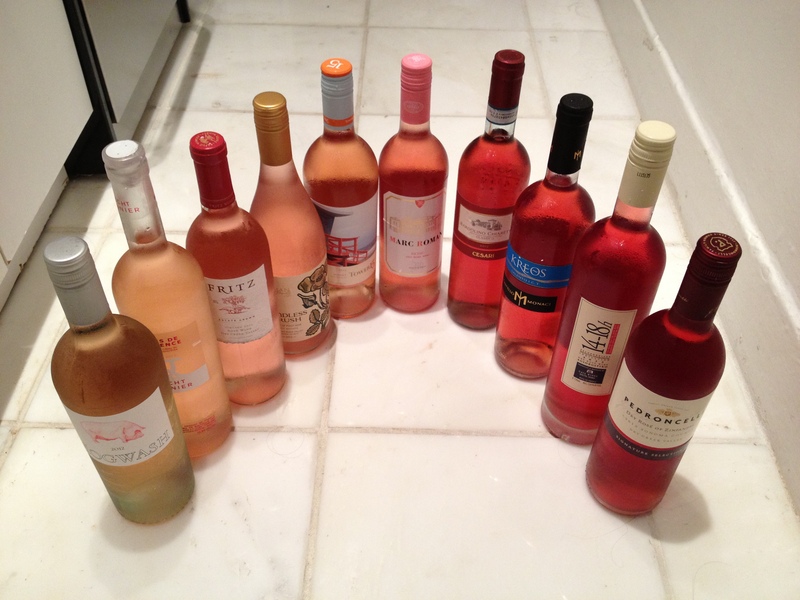 . . a rainbow of Rosé! 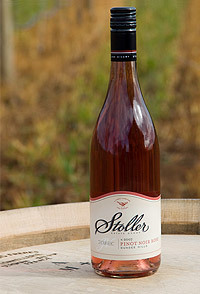 Stoller is one of our favorites . . . Salud! As far as Rosé, I like the ones from Tavel. Like that they are full bodied and can stand up to most foods. There also some Garnacha Rosé from Spain that are quite nice. This is awesome. I just had the Charles & Charles last night. It was great. I’m typically not a rose fan, but I love the Terre Rouge Vin Gris d’Amador. I also just went tasting in Napa last weekend, and Black Stallion Rose (Syrah I think). Nice and dry, not too sweet. As a red fan, these are perfect for me in the summer! I am a HUGE fan of Rosé any time of year, it complements so many delicious foods especially rich fish, chicken or even steak! I am not sure if you’ve ever had Paruss Rosé but it is amazing and unfortunately somewhat difficult to find. I love it! Thanks for highlighting Rosé! 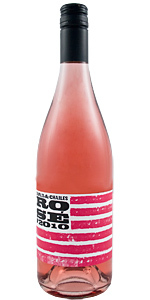 By the way, have your ever tried Indian rosé? I was very positively surprised, but I do not remember the name anymore.. As you say in one of your articles, spicy food and rosé go very well together. No – but I love rosé with Indian food, interesting! I also drink rosé year-round and am glad it is finally catching on in North America. It is easier to find good, crisp, dry rosé here than it once was & I’m glad to know I’m not alone in my crusade to bring rosé love to this side of the pond! Can’t wait to try some of your recommendations! I also suggest L’orangeraie– delicious! I too love Rose’ Thanks for listing some that I will need to try. Here are a few I have tried and enjoyed recently. St Francis Rose’ is excellent! Hard to find but can get it from Fred himself, Scherrer Winery Rose’. Also just had a Martin Ray Rose’ Yum! Ditto – I do a whole week each summer to reco some good ones! You should try some of the rose from Lebanon! Massaya and ixsir especially good!